Remembering Zelda Fichandler, Matriarch Of American Regional Theater When the co-founder of Arena Stage in Washington, D.C., made her theater a nonprofit, hundreds of small regional stages followed suit. Fichandler died July 29 at the age of 91. Zelda Fichandler co-founded Arena Stage in Washington, D.C., with her husband, Tom Fichandler, and drama teacher Edward Mangum. She is seen here with her husband in 1971. American theater lost its mother on July 29. 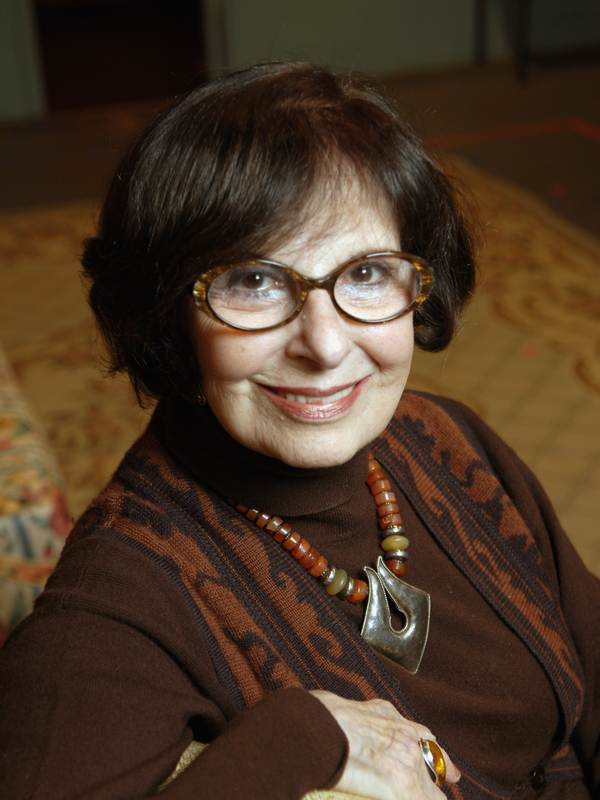 Arena Stage co-founder Zelda Fichandler, widely regarded as the matriarch of America's regional theaters, died at 91 of congestive heart failure in Washington, D.C.
Fichandler altered the cultural landscape in ways she could hardly have imagined when she started out. In 1950, when Americans wanted to see professional theater, they pretty much had to go to Broadway or wait for Broadway to come to them. Ten blocks of midtown Manhattan was where stage shows were born, and from there they sometimes went on tour. Fichandler — then in her early 20s and living in Washington — thought that seemed limiting. She told me in 2005 that she had wondered why, in places outside New York, theater couldn't be an everyday thing, "like a library, like picking up the garbage, like schools, like churches. Why couldn't what theater has to give be integrated into community life?" That was quite a question to be asking in the nation's capital. Washington had no professional theater at all in 1950 — its one touring house had closed to avoid desegregating. 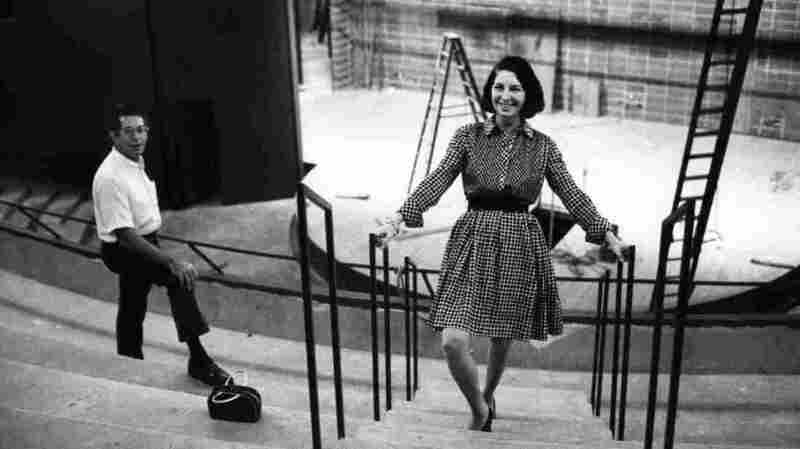 So Fichandler — with her husband, Tom Fichandler, and drama teacher Edward Mangum — founded Arena Stage as the city's first integrated theater. She became its artistic director, a position she would hold for four decades, and a position that was something of an anomaly for a woman to hold at the time. "When Broadway started noticing us and would come down to see possible hits," she recalled, "they would come into my office, because I was the one that served the coffee and washed the dishes, and they would say, 'Well, who runs this place?' And I would say, 'Well, my name is on the program. I don't know, I think I do.' And they'd say, 'No, but I mean really, make the hard decisions, like what plays you're gonna do, how much money you're gonna spend?' And I said, 'Well, I think I do'." The plays that Fichandler chose — by Samuel Beckett, Tennessee Williams, George Bernard Shaw, Molière and, later, by American authors who had yet to establish themselves — were rarely what anyone would consider commercial. And because she kept ticket prices low, Arena lost money from the start. But Fichandler figured out how to turn that to her advantage by declaring the theater "nonprofit by design," like symphonies, which could accept tax-exempt donations because they were educational. "I remember writing that document that said we were 'a form of education that led people to the edge of their own minds,' " she said. "I remember that phrase — I still like it. The difficulty was that theater had a profit-making arm. So how do you distinguish between profit-making theaters and nonprofit-making theaters?" Zelda Fichandler often told interviewers that if the theater was a temple, then actors were its high priests. Fichandler's answer — which was adopted by, at first, a few and then hundreds of small regional stages that followed her example — lay in establishing that theater could be driven by art, rather than cash, and by companies of actors doing repertory, not just actors for hire. She often told interviewers that if the theater was a temple, then actors were its high priests. The high priests she nurtured in Arena's repertory company included such young talents as George Grizzard, Pernell Roberts, Jane Alexander, Robert Prosky, Dianne Wiest and a then-unknown James Earl Jones, who starred in Arena's premiere of Howard Sackler's politically charged boxing melodrama, The Great White Hope. The Great White Hope was among the first original plays to be developed at a regional theater that went on to play on the Great White Way, and it was a game-changer, winning Tony Awards, the Pulitzer Prize and even becoming a film. All of which taught Fichandler an expensive lesson: That her nonprofit theater should always insist on a share of the profits when it developed a show that went on to have mainstream success. But that qualified as growing pains for an institution still in its teenage years. And anyway, Fichandler was helping to birth a movement, not just a theater. That movement is now mature, with more than a thousand nonprofit stages in every corner of the nation, playing annually to an audience of more than 30 million patrons. Zelda Fichandler's dream that across the nation theater could be "integrated into community life" has been realized.